Why is Apple selling fewer iPhones in China and beyond? China is Apple's biggest issue but does it have cause for concern elsewhere? 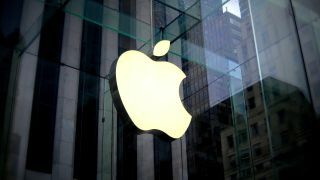 Ever since Steve Jobs returned to Apple in the late 1990s, Apple’s story has largely been one of unparalleled success. The overhaul of the Mac range and the launch of the iPod helped rejuvenate a struggling company before the iPhone and the App Store catapulted revenues to stratospheric levels and change technology forever. Meanwhile, the iPad, cautiously greeted as an “oversized iPhone” created an entirely new market of device. There were concerns that Jobs’ death in 2011 would impact Apple’s ability to innovate but even though its arguable that today’s iPhones aren’t as revolutionary as they once were, CEO Tim Cook has overseen huge increases in device shipments and service revenues. It appeared that no matter what the market conditions were, Apple would continue to be a sure bet and last year it became the world’s first trillion-dollar public company. All of this serves to show why Apple’s reviewed guidance for Q1 revenues was such a shock for investors and why those in the mobile industry are concerned. Late last year, Apple predicted sales of $89 billion for the final three months of 2018. This was already concerning to investors given it followed the launch of three new handsets – the iPhone XS, iPhone XS Max and the iPhone XR – in the busy Christmas period. Apple justified the figure by citing a staggered launch of its new devices as well as economic challenges caused by the strong US dollar and slowing demand in emerging markets. However even it was surprised by lower demand for iPhones, leading to the unusual step of providing further guidance before it publishes its final results for the quarter in a few weeks’ time. Revenues are now expected to be $84 billion – down 5 per cent year-on-year, and the first such decline since 2016. So, what exactly has happened? In a letter to investors, Cook said it had underestimated many of the challenges it faced and placed particular emphasis on an economic slowdown in China. This argument has some truth to it given China’s economy is indeed slowing and the ongoing trade war between it and the US is causing uncertainty. At the same time, the smartphone market in the country is saturating and there is intense competition between major manufacturers like Apple and Samsung and with local vendors like Huawei, Xiaomi, Oppo and OnePlus. Some of these trends are not unique to China. Market saturation is a challenge in developed nations too, with consumers replacing devices less frequently due to cost and a decline in operator subsidies in the US. “While macroeconomic challenges in some markets were a key contributor to this trend, we believe there are other factors broadly impacting our iPhone performance, including consumers adapting to a world with fewer carrier subsidies, US dollar strength-related price increases, and some customers taking advantage of significantly reduced pricing for iPhone battery replacements,” said Cook. Declining shipments wasn’t necessarily a problem for Apple so long as it could increase the price of its phones. The iPhone X allowed Apple to increase the Average Selling Price (ASP) but it appears as though its bid to appeal to more market segments with the iPhone XR has fallen flat. While cheaper than the XS and XS Max, the iPhone XR is still considered to be too expensive for what some consider to be an inferior product to the flagship. “Western Europe has been a difficult environment for several years, but the recent removal of subsidies in the US and shift toward instalment plans planted the seed for the steady lengthening of replacements,” said Geoff Blaber, an analyst with CCS Insight. “In the short term, it offered a fresh boost to the US market, as consumers were attracted by the ability to upgrade their device annually and spread the payment monthly through the year. Apple’s reputation as the ultimate blue-chip stock means that the adjusted guidance has not only impacted its own share price but markets in general. Some fear it is evidence (or a symptom) of a global economic slowdown. It should be noted that Apple is still raking in cash and that its services revenue continues to grow as the number of ‘active’ devices increases. However, the need to encourage its loyal customer base to continue buying iPhones may not extend to discounts or lower prices – instead, Apple is looking to make the upgrade as easily and financially viable as possible. “We can’t change macroeconomic conditions, but we are undertaking and accelerating other initiatives to improve our results,” said Cook. “One such initiative is making it simple to trade in a phone in our stores, finance the purchase over time, and get help transferring data from the current to the new phone. However Apple’s return to growth could depend on the macroeconomic factors that Cook says Apple can’t control.